Around 30,000 people live in the Galapagos and the Islands receive almost 200,000 visitors a year. This is putting pressure on resources and is increasing many environmental threats. Anthropogenic (or man-made) changes have been the biggest factors affecting the size of animal and plant populations since the Islands were first discovered in 1535. The humid zones (the areas of highest plant biodiversity) have been affected by humans. To meet the demands of a growing human population, parts of the humid zones have been cleared for farming. Agriculture reduces biodiverse forests to areas of monoculture, in which there is very little biodiversity. This reduces the resilience of ecosystems, which are then less able to cope with environmental threats. 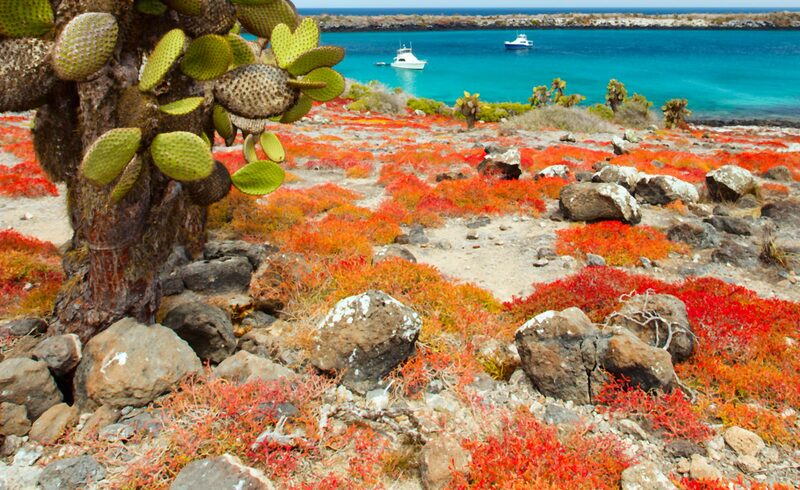 Humans have also introduced invasive animal and plant species to Galapagos, many of which aggressively out-compete native species or negatively impact on the Island’s habitats. Invasive species pose the greatest threat to biodiversity in the Galapagos. 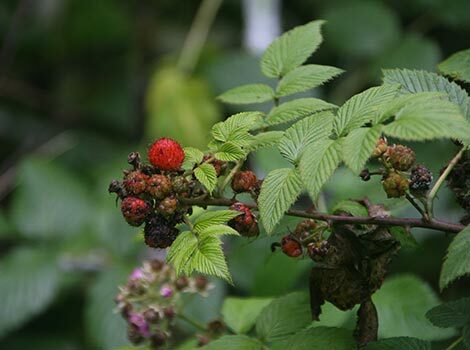 The hill raspberry (Rubus niveus) known locally as mora, is an invasive plant species that is spreading rapidly throughout the humid zone to the detriment of native species, particularly the Scalesia or daisy trees that make up forest areas in the humid zone. These and other native plants struggle to compete for space, water, nutrients and sunlight. There are also many problems with introduced animals in Galapagos – from introduced insects such as the parasitic fly (Philornis downsi) and fire ants to mammals such as rats, cats, dogs, pigs and goats. Invasive species are often introduced accidentally. They can be unwittingly carried on boats and planes and can be difficult to eradicate once they arrive. Native and endemic Galapagos populations have declined as a consequence of invasive species population growth. Many of these are now critically endangered.